ONE OF THE FIRST RESIDENTS. The death on Wednesday afternoon, at 51, St. Andrew's Road South, of Mr. John Ogden, one of St. Annes residents, and the sole surviving member of the first St. Annes local Board. 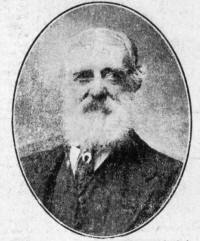 Mr. Ogden was born at Bury in 1844, being the son of a farmer. After leaving school he assisted his father until he reached the age of 17, When he was apprenticed to a stonemason. Ultimately he became a builder and contractor on his own account and migrated to St. Annes on the foundation of the new town. Mr. Ogden was one of the first contractors, and the contract for the erection of the St. Annes Hotel—one of the first two contracts—was let to Messrs. Ogden, Hamilton, Roberts, Walmsley and others. Only one of these gentlemen----Mr. Edward Walmsley—is now in the flesh. Mr. Ogden had the distinction of cutting the first sod in the new town— on February 2nd, 1875, so that he may be truly regarded as the oldest resident. He had also the distinction of being the father of the first child born in the town, which was named after the present Squire, John Talbot. Unfortunately, Mr. Ogden's son died at the age of three and a half, and was buried in St. Annes Churchyard—the third grave in the new churchyard. In the early days of the town Mr. Ogden did very well, undertaking the erection of many important buildings in the town. One incident, showing the difficulties of the early settlers, was clear in Mr. Ogden's mind up to the last. St. Annes Gas Works were under construction in 1876, when a violent storm came and the partially erected buildings suffered damage to the extent of £7,000. On July 25th, 1878, the first St. Annes Local Board was elected. There were 21 candidates, and Mr. Ogden was returned at the head of the poll without issuing an address. The first members were Messrs. John Ogden, James Astley, Robert Hargreaves, William Pomfret, John Allen, John Singleton, Wm. H. Howarth, Thos. Swarbrick William Cross, Jas. Parkinson, Hanson Swarbrick, John Marks. The late Mr. Thomas Fair was the returning officer. Mr. Ogden was the last surviving member of the first Local Board, and his death removes a link with the earliest events in St. Annes. In his later days Mr. Ogden followed the occupation of a jobbing gardener, and he was a well-known figure in the town. Three daughters survive, two of whom are married, and all reside in the Manchester district. The interment will take place to-day (Friday), at St. Annes Parish Church, Messrs. C. Rawstron and Son having charge of the arrangements. It is interesting to note that the funeral of the oldest resident will thus be directed by the oldest living native.